So, I haven’t been traveling very much this summer which is highly unusual for me. Instead I decided to spend more time at home, with family and friends, soakin up the sun, and all the other great summery goodness that I’ve been missing. I wanted to do this event last year but just plain ran out of time! This year I decided to make it happen. 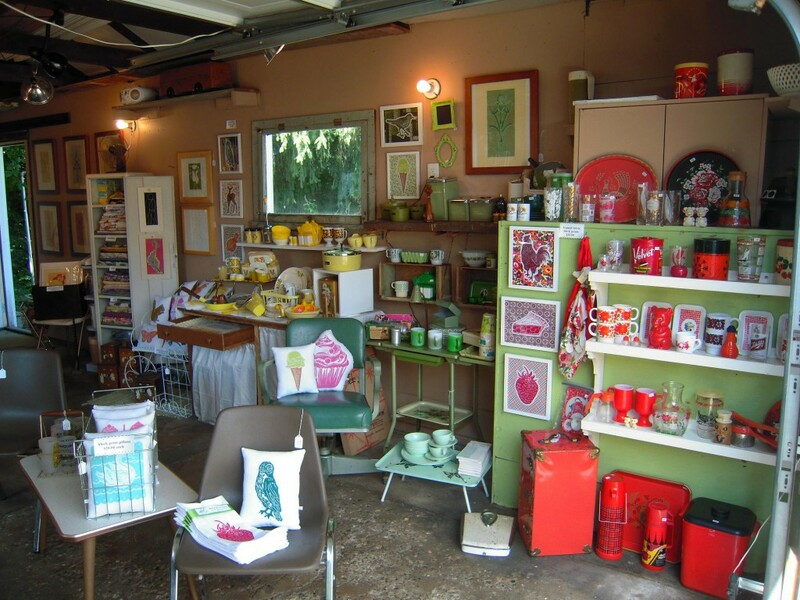 A Pop Up Store event in my garage merging the wonderful worlds of artgoodies and vintagegoodies! I may do it another weekend too, what d’ya think??? BLUEBERRIES!!! Woohooohoo! It’s pickin time! I went on a little pickin adventure today. 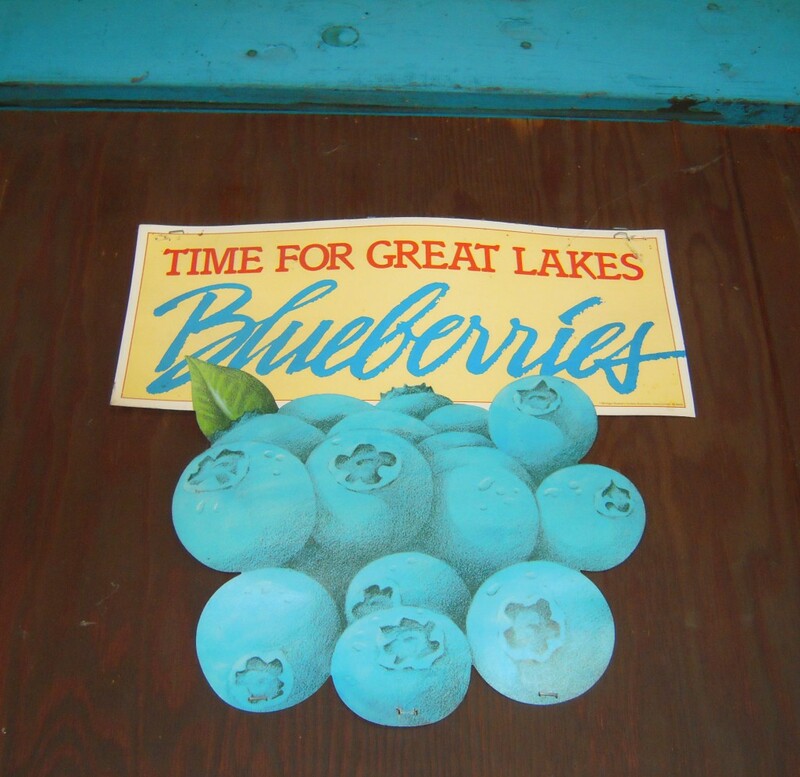 We like to go to The Blueberry Ranch in Mishawaka, IN-we’ve been going there since the 70s. 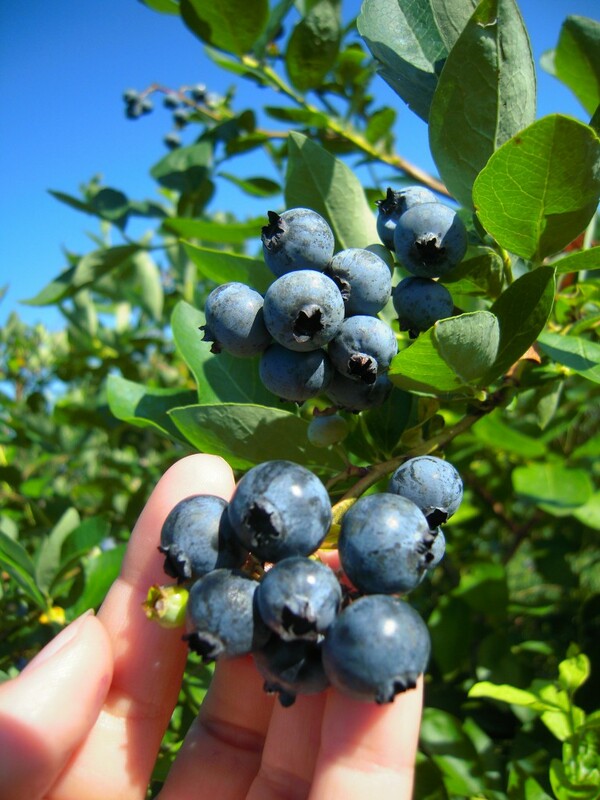 It’s been there since 1953 and is one of the largest U-Pick blueberry farms in the Midwest! AND super bonus-their blueberries are organic! I love fresh blueberries, and you can bet there will be some freshy fresh muffins for breakfast this week! How awesome is this sign...I want one. color of the month Picnic Pink! 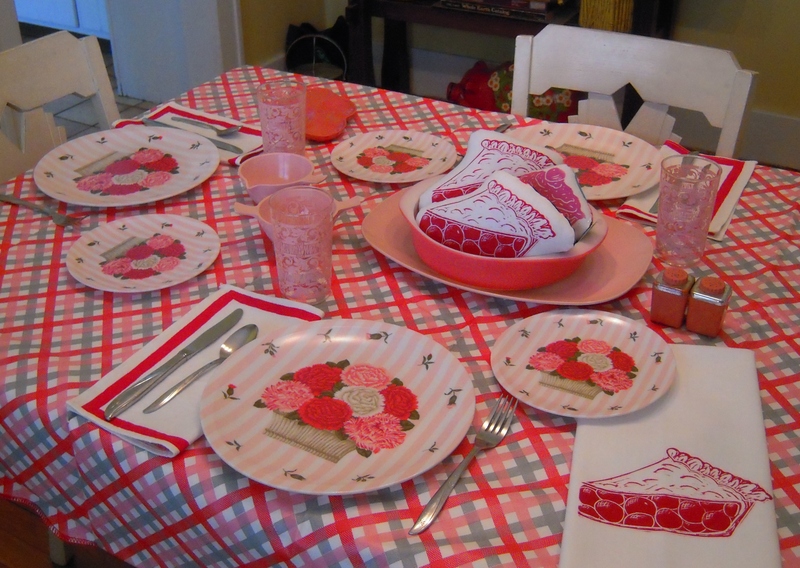 What’s a picnic without a plaid tablecloth, some melmac plates, and a NEW artgoodies cherry pie tea towel of course! Or you can just have a delicious cherry pie stuffie for dessert!!! Such a fun and festive table! 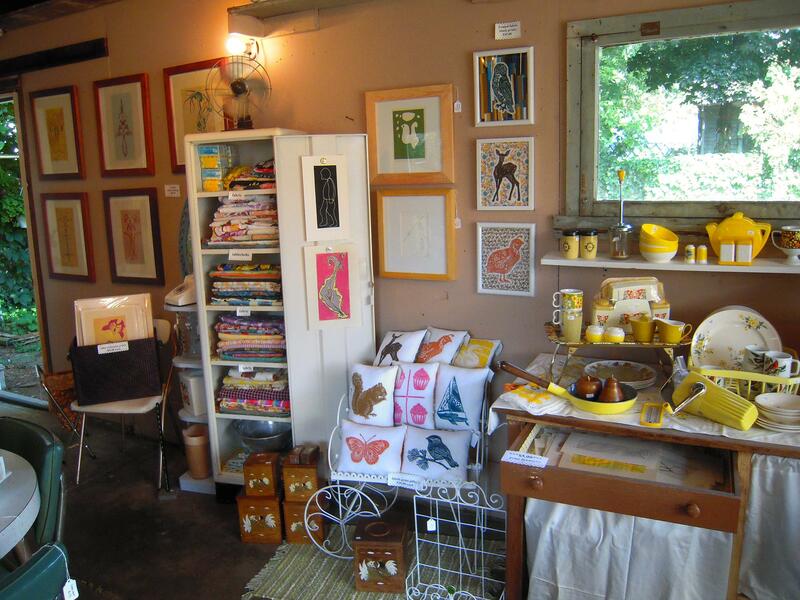 my vintage shop, www.vintagegoodies.etsy.com is loaded up with most of these items with more pink on the way soon! And you can snag an artgoodies pie stuffie right now, but you'll have to wait about a week to get your hands on the new pie tea towel! The first batch sold out already!!! 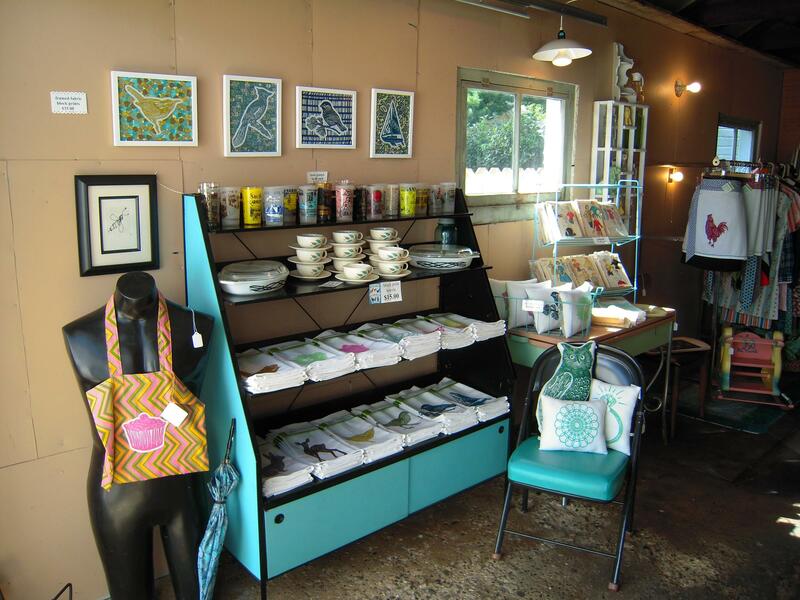 See my artgoodies shop and pre-order yours today! My favorite pieces include the adorable pink play sink! The odd meat tray from the 50s, the vintage cupcake tea towel, the bird clothespin and all the fab vintage glassware of course! 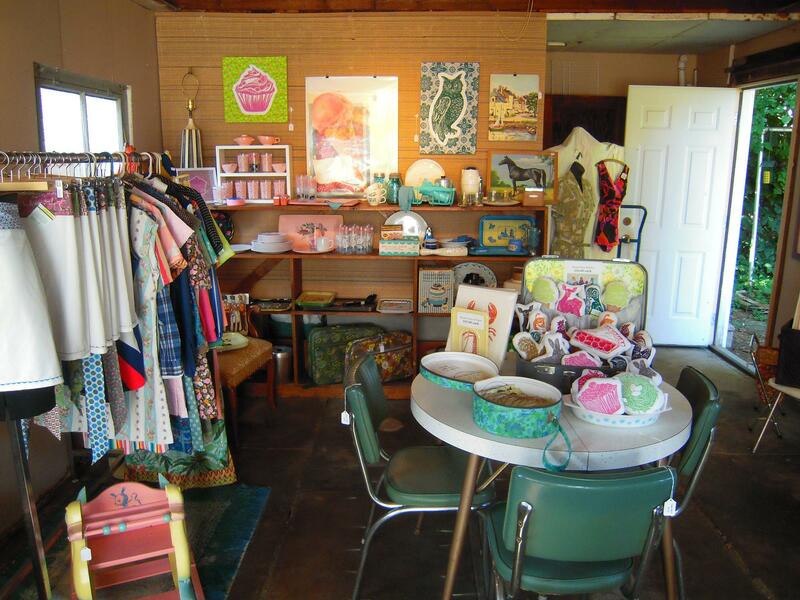 Check out my vintage shop for some of these fab pink finds! The deliciousness of summer has begun! 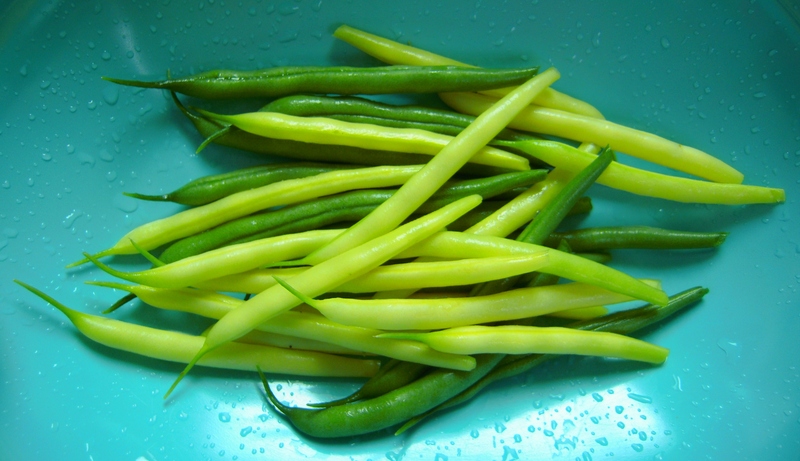 There’s simply nothing like going out to the garden to harvest some fresh food! From fruits to veggies the bounty has begun! 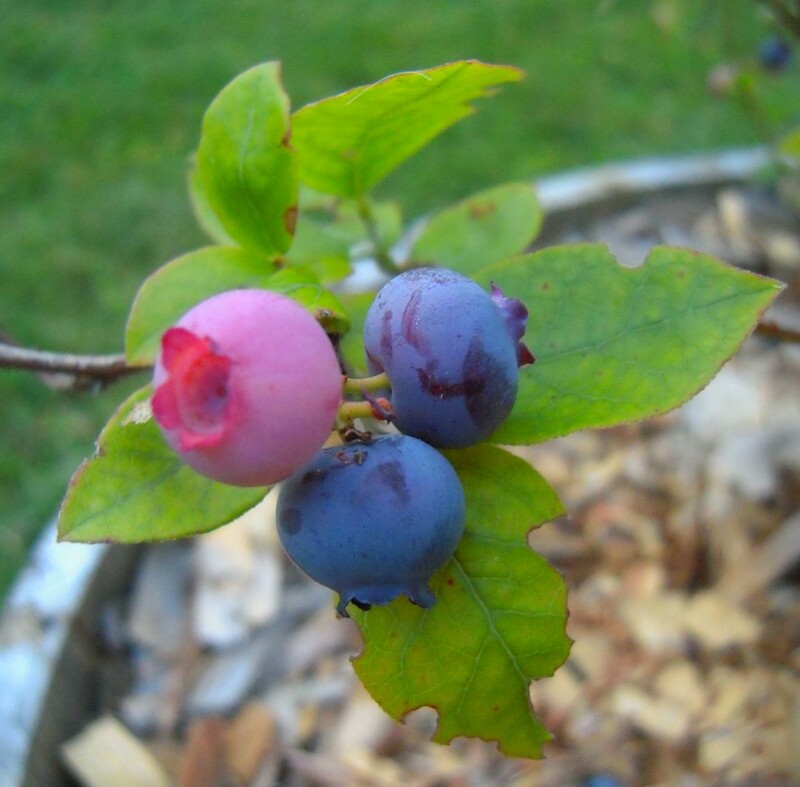 A few blueberries made themselves known at the family cottage garden. They were quickly devoured! I can't wait to go blueberry picking soon! One of my favorite summertime activities and treats! Stay tuned for a blog post about that! This little bundle of wonderfulness came from my garden at home, picked fresh in the drizzling rain. When I left for the weekend they were just tiny little guys and voila now they are lunch! 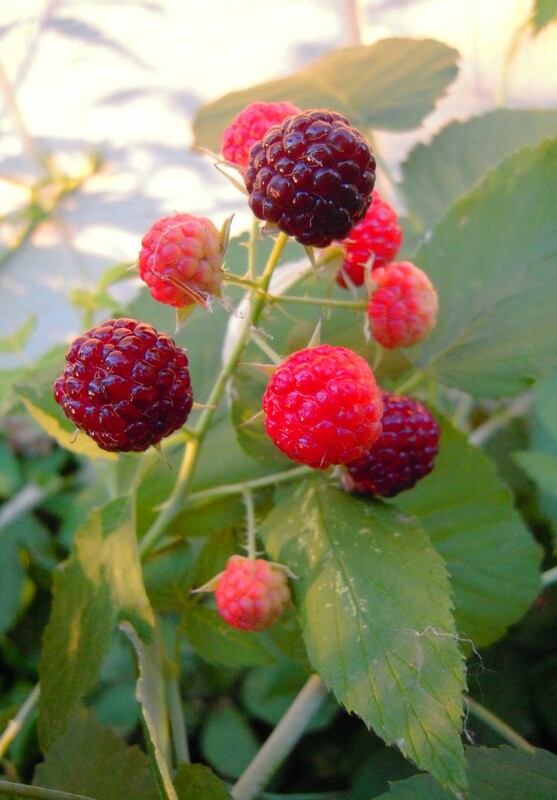 Wild black raspberries! YUM! My parents have them up and down the driveway at their house, but these beauties are from the cottage. I have fond memories of going out with my little pink cup, or a lavendar melmac cup and harvesting as many as I could find. Then grandma would sprinkle a little sugar on them and they were pure heaven! 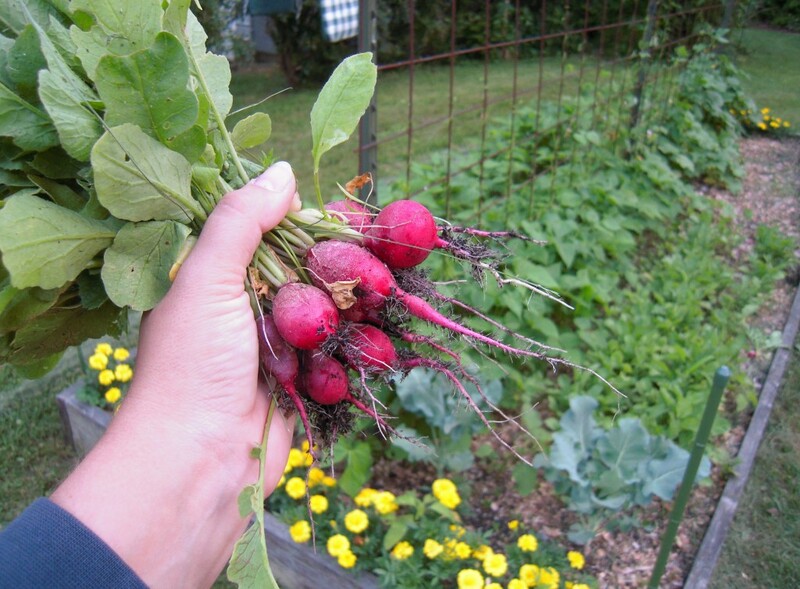 A few radishes from the cottage garden! This is just one side of mom's gorgeous garden at the family cottage! I bet you can't wait to see what comes out of here next!